The Research Society of Pakistan is not responsible for the statements of facts or opinions made by the contributors. All rights are reserved with the Research Society of Pakistan. No part of this publication may be reproduced, stored in a retrieval system or transmitted, in any form or by any means, mechanical, photocopying, recording or otherwise, without prior written permission of the Publisher/Editor. JRSP is a biannual, recognized by HEC in Category ‘X’; double peer reviewed and refereed research Journal. Editor welcomes scholars to submit well-researched, unpublished papers along with a statement certifying that the work is original and has not been submitted anywhere else for publication. The Research Society of Pakistan is deeply grateful to the Higher Education Commission of Pakistan, Evacuee Trust Property Board, Government of Pakistan and University of the Punjab, Lahore for their generous financial support. 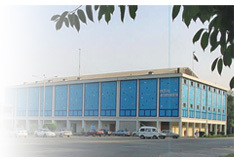 Department of Press and Publication, University of the Punjab, Lahore.